We’re visiting beautiful North Wales this week to explore the contemporary art gallery MOSTYN. 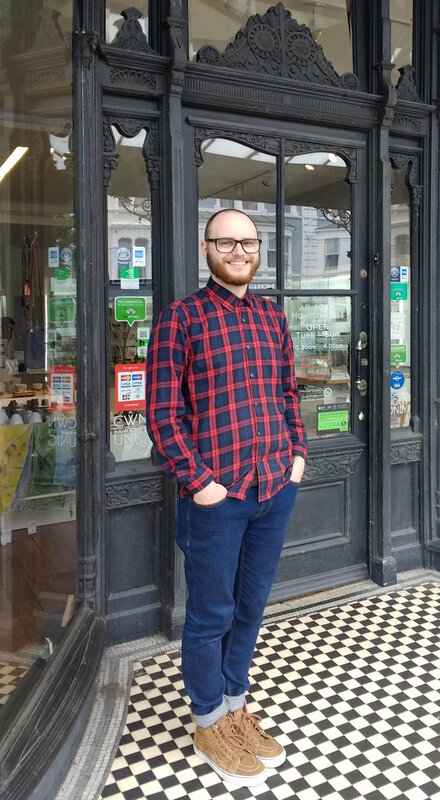 MOSTYN’s wonderful shop showcases the work of local and national artists and makers, and their retail manager Barry is a huge supporter of our campaign. I’m Barry Morris and I’m the Retail Manager at MOSTYN in Llandudno, North Wales. 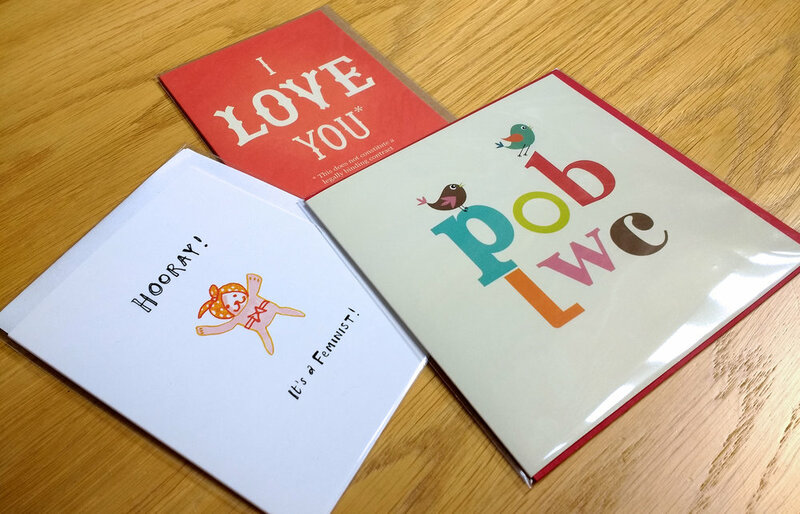 I am responsible for the running of the shop, our retail galleries and North Wales Print Fair (Nov 10th – 11th). My job is incredibly varied. I manage the retail staff, source the stock and do the buying, the paperwork and social media for the shop. I also manage and curate the maker showcases and print exhibitions for our retail galleries. Every day is different, in the eight years I’ve worked at MOSTYN I’ve yet to experience the same day twice! I'm usually either in the shop looking after our lovely customers or up in the office dealing with the inevitable paperwork. I also love going out and about meeting new suppliers and sourcing new stock, and catching up with current suppliers. I'm always on the look-out for new and exciting items for the shop and retail galleries, be it in person or online - social media has become a fantastic tool for discovering new suppliers. 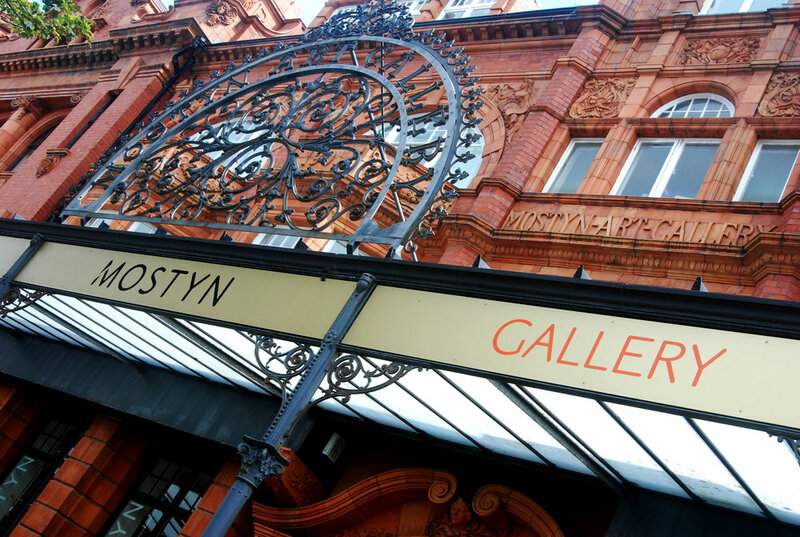 MOSTYN is the largest contemporary gallery and visual arts centre in Wales and shows work from artists all over the world. With Llandudno being a tourist town its population grows massively during the holiday seasons and it means we welcome people from all walks of life. 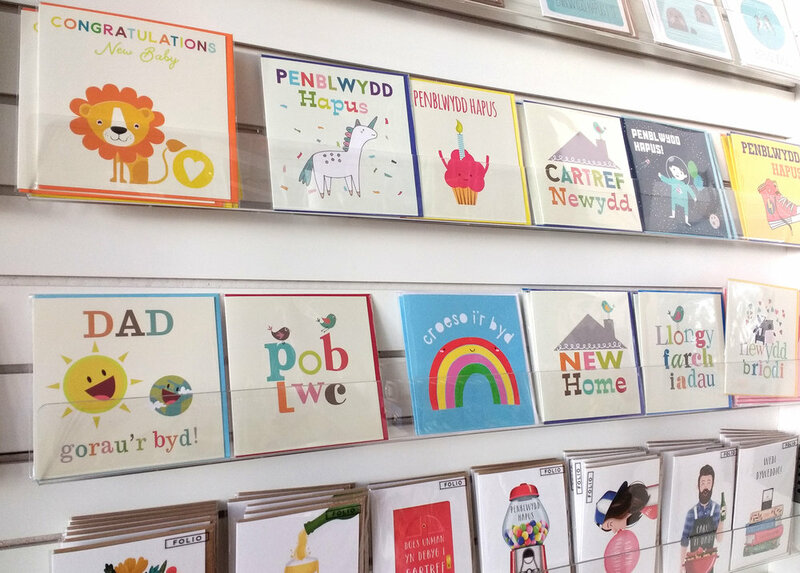 Our shop stocks a variety of contemporary craft from new and established makers from all over the UK, alongside art related books and magazines, creative gifts, art supplies and an extremely popular range of greetings cards. Our shop has beautiful art-nouveau style windows which provide lots of natural light and a wonderful area to display work. Each winter we offer a paid commission to design our Christmas window and, this year, Gills Emporium will be bringing a giant felt Santa to the window. Outside of MOSTYN, I am a practicing visual artist, producing graphite drawings and I have a real love of printmaking. I can usually be found either exploring the scenery of North Wales or on the beach with my nose in a book. Shopping habits have changed dramatically since I took over the management of the shop. Even seasonal trends have shifted. It can sometimes make planning ahead in terms of buying a little tricky but to survive in retail you need to be adaptable, sometimes think outside the box and, at the same time, stay true to your brand. Our core ethos is championing contemporary craft, alongside a personable shopping experience and a strong retail offer. This helps to set us apart from the other businesses on the high street and helps make MOSTYN top of everyone’s shopping list for something special and unique! What ambitions do you have for the business over the next few years? Last year we held our very first North Wales Print Fair, in partnership with the Regional Print Centre. We welcomed over 45 stallholders and 1,400 visitors in one day! Our second print fair takes place on November 10th and 11th so we’re aiming for a similar success this year. I’d love to develop our fairs, and we’re already busy plotting number three! Market research is always my top-tip! Develop your own message and vision, try out ideas and don’t be disappointed if something doesn’t work out, learn from it and build upon the idea. Talk to your customers, listen to them and take on board their feedback, whether it be on social media, at a craft fair or in your shop, they’re vital to the success of your business. Don’t be afraid to ask for help either, talk to other makers and shop owners, they’re often a goldmine of advice, help and support. Definitely! The message behind the campaign really struck a chord and I could see how it can easily to applied to any small business, whether they sell cards, books or gifts. It also helps to dispel the myth that people need to make big purchases to make a difference; a sale of £1 is just as welcomed as a £100 sale. 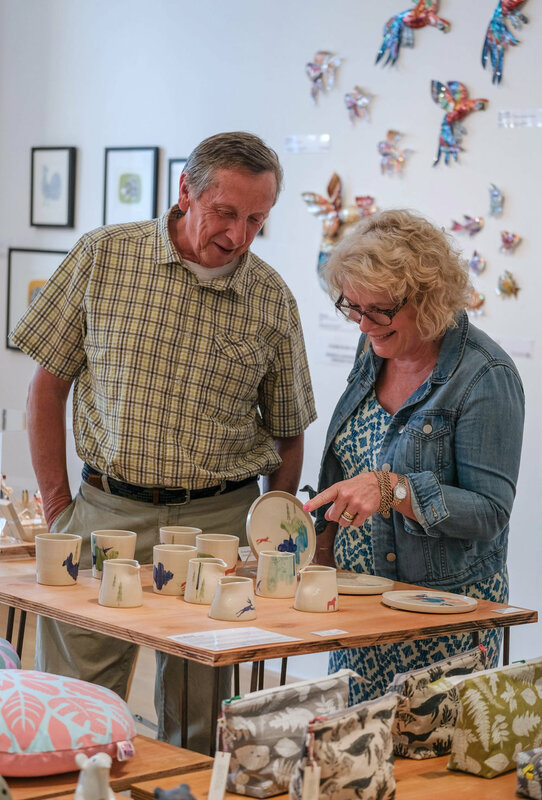 It’s wonderful to be connected to a whole network of other shops, galleries and makers, all working together towards a common goal. 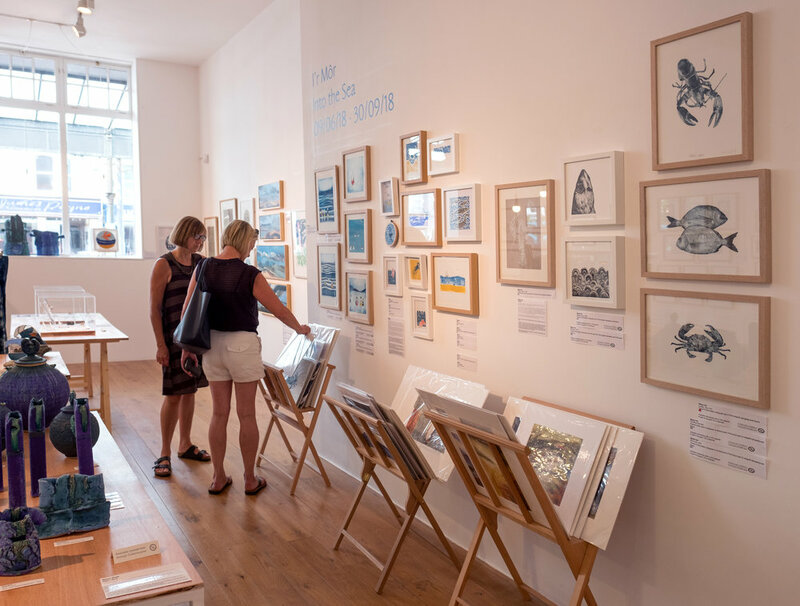 As a registered charity we are proud to support independent makers and small businesses in our retail spaces, and all income generated is invested back into our exhibition and engagement programme. We know from experience how vital each sale is, not only to us but to our suppliers too. No matter how big or small the purchase we value each and every sale. The Just a Card campaign has been a real talking point for our customers, and it’s always wonderful to hear them embrace the message and take it forward into their shopping habits. I first heard about Just a Card on Twitter when it very first launched and I instantly identified with the message behind the campaign. I started to use the hashtags, retweet, put the posters up and I tried to support in whatever small way I could. I recently met Sarah for the first time at Top Drawer and, after three years of chatting with her online, it was lovely to finally meet her! Sarah’s passion for the campaign and rallying call of action is so inspiring! We use Facebook, Twitter and Instagram for MOSTYN. Each platform has its own merits and strengths for sharing messages. I love the visual impact Instagram has, it’s proved really useful for the shop! Spreading and supporting the message is the first step, tell your friends, mention it to your customers, share on social media. Making people aware of how important sales of any size are to businesses is key. We’ve provided the Just a Card poster to each stallholder at our upcoming Print Fair to help them promote the message and hopefully boost their sales. As someone who works in retail I try my best to practice what I preach. I always buy something when I visit lovely shops and galleries. I have a growing collection of ceramics and prints! Here at MOSTYN we’re proud to display our Just a Card posters throughout the shop and I have my pin on my lanyard. We also have our window sticker and hashtag sticker on our shop door, and we’re proactive in chatting to our customers about the campaign! MOSTYN presents international art and culture of our time, activating people’s lives through exhibitions, cultural programmes and commercial activities. Situated in the coastal town of Llandudno, it is Wales’ foremost contemporary gallery and visual arts centre, serving as a place to form and share new perspectives through artistic/curatorial practice and audience engagement. MOSTYN is part of the Plus TATE network of UK arts organisations. MOSTYN receives financial support from the Arts Council of Wales and Conwy County Borough Council Art Service. Mostyn Gallery Ltd is a registered charity trading as MOSTYN.